I'm always interested in songs that have sort of a different vibe or appeal, basically things that you might not always hear everyday. 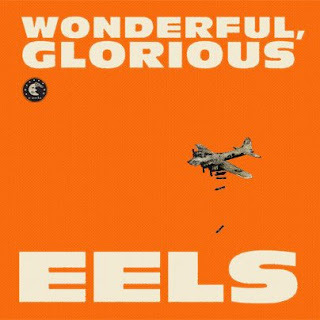 That's where EELS comes in with the new song called "Peach Blossom," featuring a distorted/noisy guitar and raspy vocals that are almost spoken at times. The guitars tone down a notch mid way through, but kick back into gear. The song is the first to be released from the forthcoming album Wonderful, Glorious due out Feburary 13, 2013. You can pre-order on iTunes here or get a pre-order of a physical copy here.